(Nanowerk News) Researchers from Jülich have, together with colleagues from Austria, Italy, Colombia and the USA, developed a model system for so-called soft colloids. The model gives us a better understanding of correlations between the atomic structure of colloids and their perceptible material properties. These findings could lead to new approaches for the targeted development of innovative colloid materials. The results have just been published in the journal Nanoscale ("Dynamic phase diagram of soft nanocolloids"). Colloids are nano- or micrometer-sized finely dispersed particles or droplets. Soft colloids are made up of flexible materials, for example, polymers, such as proteins and synthetic molecules. In nature, soft colloids are found in cells, for instance. In industry, they are used among other things in food processing, cosmetics and emulsion paints or in oil production to achieve the necessary flow properties. In paint manufacture, for example, they ensure that products are easy to apply yet do not run off surfaces. The model system developed by researchers from the Jülich Centre for Neutron Science is made up of water and block copolymers – thread-like molecules with both a hydrophilic and a hydrophobic component. In water, the polymer threads arrange themselves in a star shape, with the hydrophilic ends pointing outwards, and the hydrophobic pointing inwards. If the hydrophilic component is large, only a few molecules will bundle themselves loosely together and their physical behaviour resembles that of threads. The bigger the hydrophobic component is, the more polymers will clump together and dense, hard spheres are formed. Until now, there have always been separate physical models for threads and spheres, which would predict in each case whether the resulting solution would be liquid or glassy. 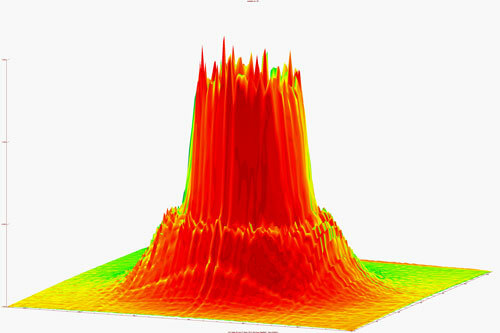 Aided by their scientific investigations and, among other things, by neutron scattering experiments, the researchers have now succeeded in combining both models and have developed a comprehensive phase diagram which describes the material properties depending on the structure and concentration of the colloid – producing a recipe book for colloids, so to speak. In effect, they found a connecting parameter which essentially decides whether the model colloid solution will be liquid or glassy: the so-called interaction length. This corresponds approximately to the radius in which the colloids can interact with each other, and depends among other things on how many molecules a colloid is composed of as well as the concentration strength of the colloids. A special feature of the model colloids made these findings possible: their softness can be tuned very finely over a large area by altering the length ratio between the hydrophilic and hydrophobic components of the molecule threads. The fact that the basic ingredients always remain the same makes it simpler to distinguish fundamental correlations.